Juliet Simon gets herself into all kinds of situations, but breaking into the scary mansion near her college campus has got to take the cake. 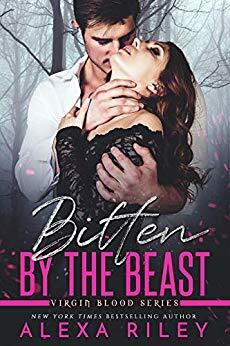 When she finds more than she bargains for behind closed doors, will her fear take over, or will she fall for the beast? Kane Viscardi is unlike other vampires. He’s spent most of his time hiding away and is alone in the world without a mate. Until one night when there’s an unexpected knock at the door. Suddenly something awakens inside of him for the first time in a century. Warning: It’s the first time we’ve written vampires, so go easy on us. Enjoy this brand new series that features a coven of five and read about how all of them find love.